Perishable foods require refrigeration, adding to overhead costs. Advances in lighting and sensor technology are driving down those costs. The gap between what’s doable and what’s practical in technical applications is shrinking, and some managers of refrigerated environments are seizing on practical solutions to cost-reduction challenges. An easy illustration is the variable frequency drive. Plant engineers long have understood that refrigeration compressors equipped with VFDs could significantly reduce operating costs and maintenance requirements, but until the cost of those drives came down, few food facilities used the technology. Today, no one would outfit a mechanical freezer without VFDs, and quite a few older plants have been retrofitted or await an opportunity to retrofit. Plummeting electronics prices are driving down the cost of sensors and other field devices. Temperature wheels that record conditions in cold storage areas and cost $200 or more have been made obsolete by wireless devices that outperform them and can be installed for a fraction of the price. 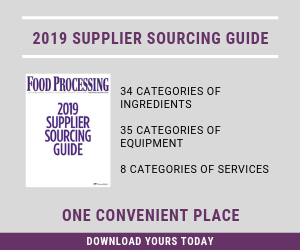 “In an existing plant, you have to do a lot of pre-work to make sure there are no issues with wireless connectivity,” allows Jon Guerster, CEO of the consultancy Groom Energy Solutions, Beverly, Mass., which numbers ConAgra and Ocean Spray among its clients. “But interference resolution is a lot less expensive than pulling wire,” and paybacks from sensors and field devices typically fall in the range of 1-3 years, depending on local utility rates. Three years ago, Groom deployed a wireless networked LED lighting system at a Richmond, Va., cold storage facility operated by Lineage Logistics. Semiconductors in the new smart lights allowed rapid on-off cycling and dimming, and the lighting management software produced 25 percent higher illumination than the high intensity discharge fixtures that were replaced. Reduced waste heat meant compressors didn’t have to work as hard, an efficiency above and beyond the 85 percent reduction in lighting’s energy consumption. The project helped kick-start a dialogue at Lineage about the Internet of Things and how smart systems might reduce refrigeration costs. A more ambitious project to identify hot spots and monitor machine performance now is under way, with a goal of lowering energy intensity 25 percent by 2025. One of the nation’s largest cold storage companies, Irvine, Calif.-based Lineage manages more than 600 million cubic feet of refrigerated space in 111 warehouses, many of them co-located with food plants. Typical energy draw is 1 megawatt per warehouse. The potential cost savings from a one-quarter energy cut are huge, but there also is the promise of improved product quality from more-even temperature control. Thanks to cheaper instrumentation hardware and better analytical software, management believes the targeted reduction can be achieved. Room pressure, occupancy levels, power draw and other variables are being measured. The enabling technology comes at a fraction of the cost of even a few years ago, Wolf explains. For example, energy monitoring equipment used to cost six figures and require an electrical engineer to manage. Today, Lineage is building more accurate units at a tenth the cost, using net metering technology developed by the solar power industry. ROI from the micro sensors, VFDs and other devices typically is less than one year, he calculates. “The sensor suite available to the food industry should be further along than it is,” muses Wolf. Temperature wheels with paper charts are woefully obsolete and cost hundreds of dollars, but they are still widely used in the industry. Wireless digital devices that run for years without a battery change can do the job for a fraction of the cost and can be placed in inaccessible areas, yet many companies continue to use paper wheels. If reduced energy consumption was the only goal, deploying hundreds of devices might be technological overkill. Analyzing the data they generate to perform condition monitoring and create heat maps that visualize temperature gradations in real time, on the other hand, adds considerable value. Lineage acquired a software firm to create a visualization program that will give context to the data and move the warehouses closer to predictive maintenance. Ambitious improvement projects like Lineage’s require considerable planning and long timelines to execute. When unexpected operational disruptions occur, improvisation and adaptive responses are called for. Such was the case with the Great Snow Pellet Shortage of 2015. The snow in question is actually dry ice pellets, a commodity that began to experience supply disruptions 12-18 months ago, according to Mark DiMaggio, head of food & beverage at Linde LLC, Murray Hill, N.J. Some processors of meat and other foods typically purchase 2,000 lb. combos of pellets as packing material in cases of frozen perishables. Unpredictable availability was disrupting some plants’ operations and, in extreme cases, forcing lines to shut down. Linde “re-energized a snow machine” that produces pellets on demand, he says, but the stand-alone unit requires manual transfer to get it into boxes. A solution that creates a new problem isn’t acceptable, so engineers devised an automated solution: the addition of an enclosed discharge chute with a conveyor underneath. Depending on the size of the case and the amount of pellets required, the snow machine’s valves open and close to discharge the proper amount while the conveyor pauses with the case in place. “It’s not necessarily high tech, but it’s easy technology to use, and it delivers a value proposition,” DiMaggio says. The on-demand system’s footprint is smaller than the floor space a combo commands. It also resolves a waste issue: 7 percent sublimation of solid nitrogen or carbon dioxide occurs each day. If a combo is left on the floor three days, one fifth of the pellets would resort to a gaseous state and be useless. A score of the repurposed snow machines are currently operating in food plants. The thermodynamics of food freezing are not well understood, though progress is being made. Likewise, cheap sensors and more powerful analytical software are bringing the smart freezer — whether a walk-in unit or a massive cold storage facility — closer to reality. Nonetheless, immediate needs demand creative solutions, and repurposing existing technology may be the answer.